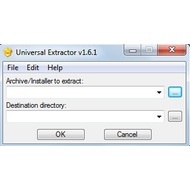 Universal Extractor is not an archiver. You can’t create archives or compress your files. The utility provides only extracting option. In some case, you have to unpack archive files that you see in the first time. And your archivers don’t recognize an archive format. The program has simple interface that you can see in a small window. There are only two buttons on the main screen: Archive/Installer to extract and Destination directory. The utility has multilanguage support. 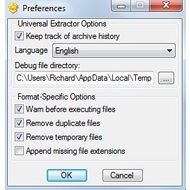 So, if you want to change a language, select Edit tab and choose Preferences option. 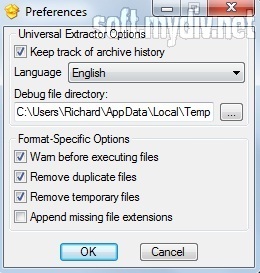 To start extracting choose your archive (the first button). Then choose the destination folder (the second button) where you’ll find unpacked files. After that you should click on OK button and check the directory. The unpacked file will be there. 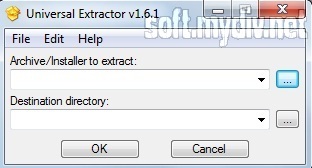 This software supports a lot of archiving formats, as RAR, ZIP, PEA, TAR. and others. You can visit the official website to view all supported extensions. 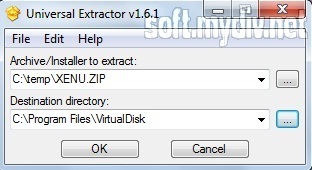 If you have some problems with unzipping of unknown archive, and neither WinZip nor 7-Zip helps you to resolve these issues, we recommend you to use Universal Extractor. If you don’t need a compression functions, this utility will allow you to unzip almost all types of archives. 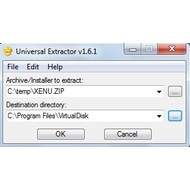 The program supports RAR, 7Z, ISO, ZIP, GZ, TAR, JAR, BZ2, WIM, ACE, XZ, ZOO, ARC, ARJ and other extensions. Added support for XZ file extension. Added support for Windows Installer merge modules (MSM). Added support for NBH files via NHBextract.